These DIY glittered mason jar candle holders would look totally terrific on the reception tables at an outdoor wedding, barn wedding, rustic wedding, casual wedding at home, or a shabby-chic style reception. And they are so easy to DIY. 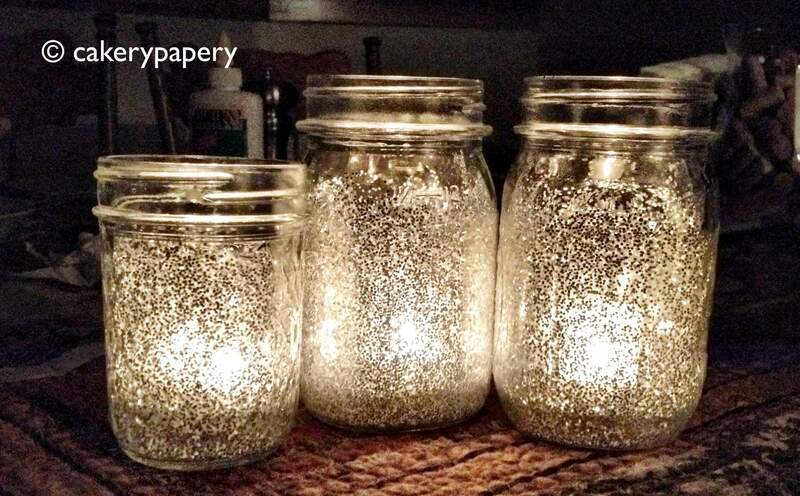 Scroll down the page for more great photos of glitter mason jar candle holders to inspire you. (Photo Credit: CakeryPapery). Just apply spray adhesive or brush craft glue (or “Podgy”) on to the portion of the jar you want to glitter. You can purchase either type of glue at your local craft store. You may find that you can get a heavier coating of glitter if you use brush on glue as opposed to spray adhesive. If you want more of a light dusting of glitter effect, use the spray adhesive glue. Then simply dust with glitter in the color of your choice. Set aside where they won’t be disturbed to dry. Personally, I think either gold or silver glitter is classiest when it comes to color choices, but its up to you! The pink in the photo below a little further down the page looks amazing as well. Or try doing a combination of pink and gold, or pink and silver jars – either of those color combinations works fabulously. Pack carefully and handle with care when transporting to the wedding reception in order to make sure that you don’t scrape the glitter off. After the reception, you can invite guests to take the glitter mason jar candle holders home as a keepsake or from the reception. Sooooo pretty. Glittered mason jar candle holders can almost take on the look of Mercury Glass. They also resemble those attractive crackle glass candle holders… Not bad for DIY. They really sparkle beautifully in the candle light. Here in the photo below is a variation on the same idea using a small jar to make a votive candle holder or tea light candle holder. The pink glitter looks really pretty too. 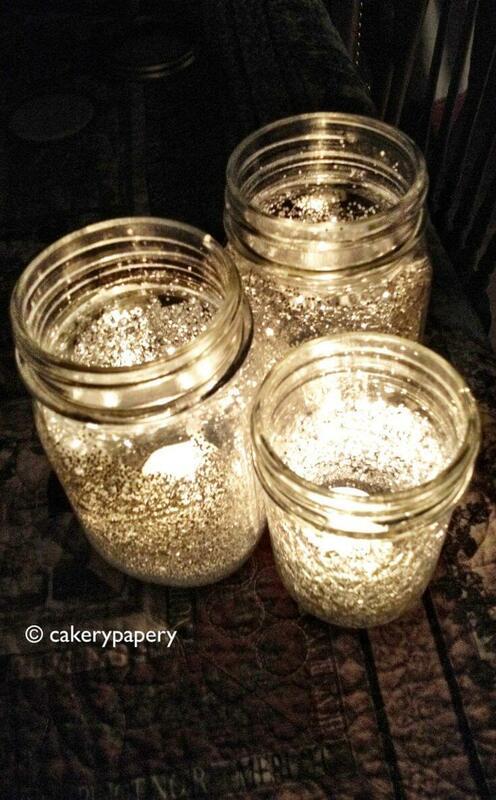 See our other post on Glitter Jar Candle Holders for more inspiration using smaller jars. You could do a combination of different jar sizes for your reception tables to achieve a slightly different look. 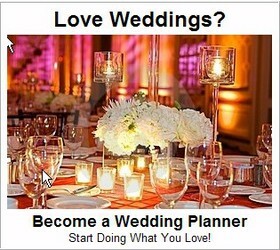 Go with mason jars for the centerpiece, and then use the tea light candle jars at every place setting. To change up the look a little more still, you could use a few of your DIY glitter jars as small vases for holding flowers on your reception tables. Intermingle glitter vases among the candles. 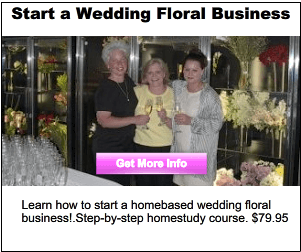 In the photo above, from the event planners at Events Uncorked, a couple of pale pink roses, with stems trimmed short, sit informally in the jars. Pink and gold are a really good color combination, so its so super-pretty. 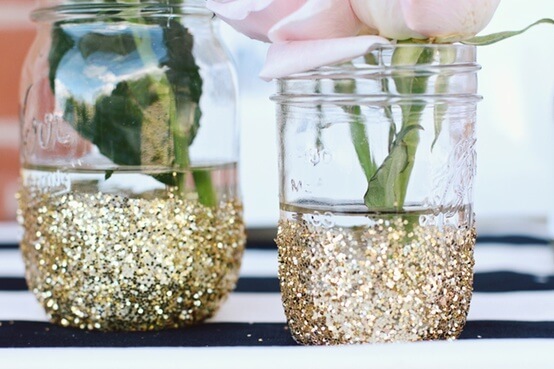 Let your guests take the glitter jars them home as favors if you like. 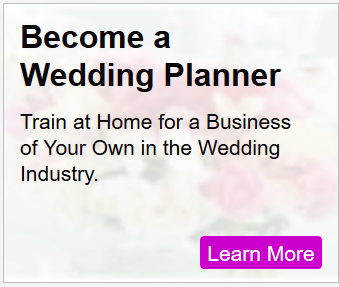 Either way, your table setting will *S*P*A*R*K*L*E*.